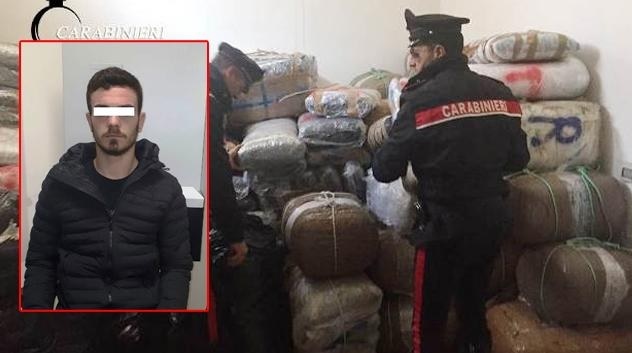 Italian police have seized over a ton and a half of marijuana yesterday and arrested an Albanian. Italian media say the marijuana is seized by Brindisi Carabinieri in Italy; they stormed into a village home in Montenegro, a few kilometers from the inhabited center. As reported by local media today, those who owned the drugs were two Albanians, one of whom was arrested while the other escaped and lost track. At their home, Police found one ton and 610 kilograms of marijuana, divided into packages from 5 to 25 kilograms. The Albanian arrested is a 22-year-old, whose identity is not made public by local media.